Jane Austen fans will probably already know that 2017 marks two hundred years since the death of the novelist on 18 July 1817 at the early age of 41. Since then her six completed novels have been among the most loved in the English language, with a steady surge in popularity following their adaptations into film and TV versions. 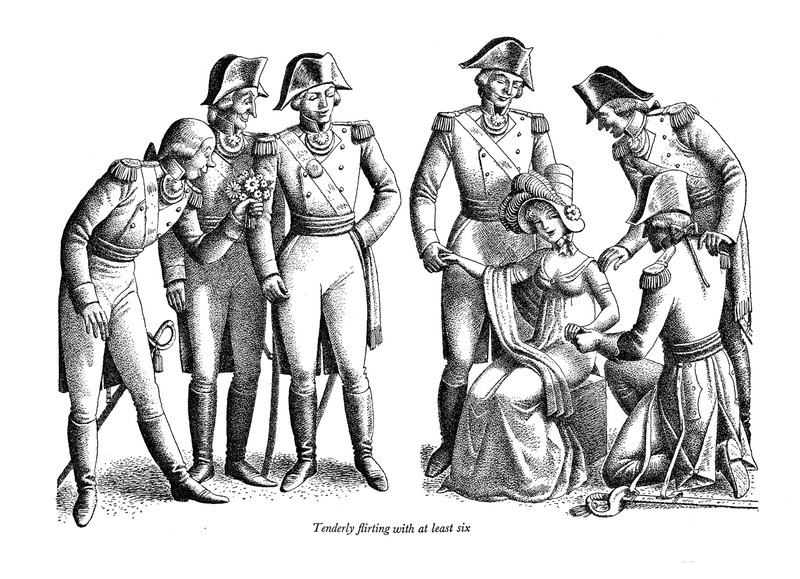 After Jane’s death her brother Henry Austen organised the publication of her last book in 1818. 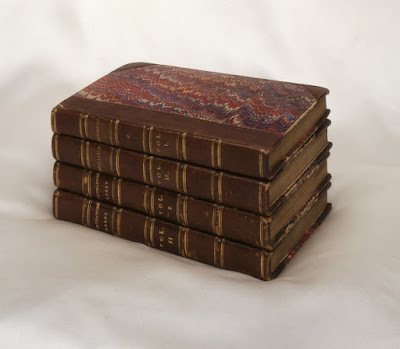 It includes her earliest novel, Northanger Abbey, and her final completed novel, Persuasion, printed as a set in four small volumes. Sir George Grey Special Collections has a copy of this rare first edition, which featured in the 2014 exhibition The Romantics; from Jane Austen to Frankenstein. 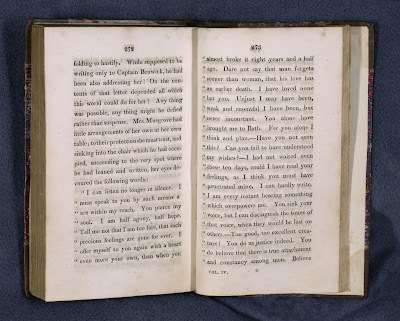 Northanger Abbey is a comic parody of the melodramatic gothic novel which was fashionable at the time, and was first begun as Susan in the 1790s. 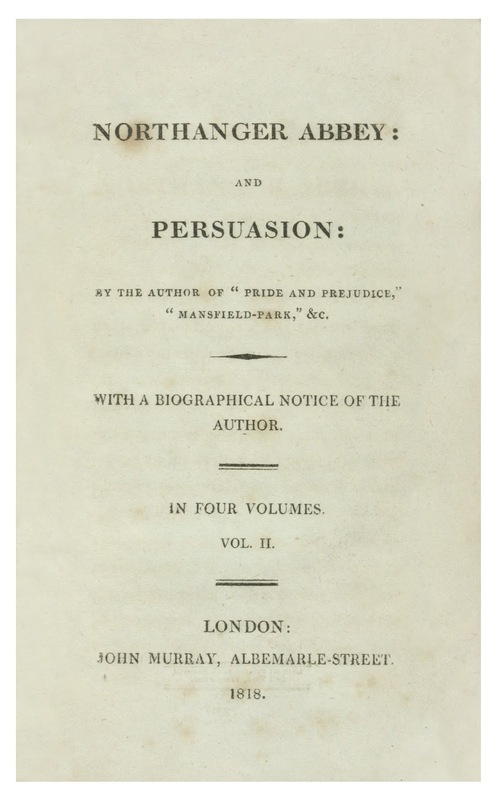 Persuasion, which is the other half of the set, was her last completed mature work, and is an elegant novel about second chances. One of the reasons the novels adapt so well to the screen is the presence of so much spoken dialogue. Whole conversations have been lifted from the novels, word for word. 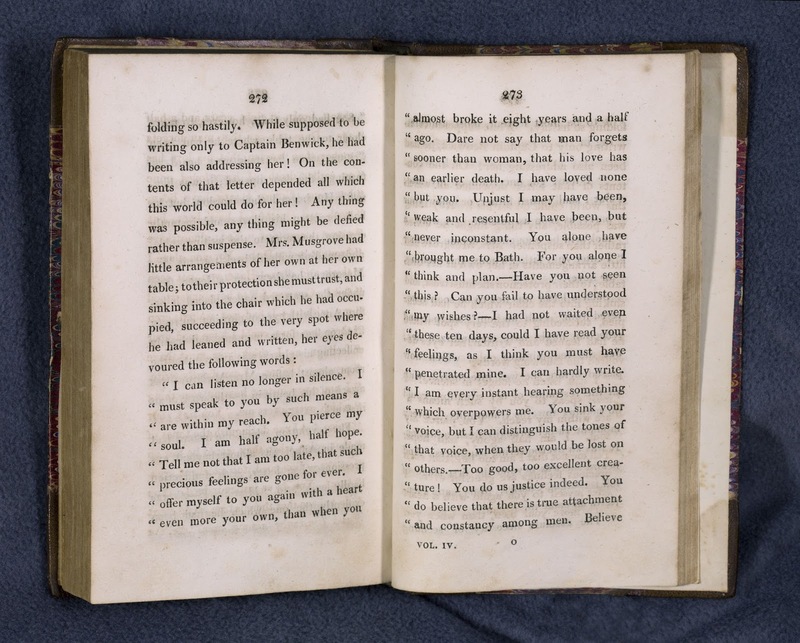 On these pages Captain Wentworth declares his love to Anne Elliot. Although he does this in a letter, on screen the letter is always read out. Ref: Jane Austen. Persuasion. London: John Murray, 1818. When the novels were first published they were without illustrations, but later publishers have seen the attraction of adding images. In this 1940 Limited Editions Club version of Pride and Prejudice Helen Sewell portrays Elizabeth’s sister Lydia surrounded by admiring soldiers. Ref: Jane Austen. Pride and Prejudice. Boston: Limited Editions Club, 1940. To mark the bicentenary a new biography of Jane Austen has been published, written by Lucy Worsley. Called 'Jane Austen at home', it concentrates on the places that mattered to Jane Austen and how they influenced her life and work. Lucy Worsley is also well-known as a presenter of historical programmes in Britain and has produced a BBC documentary of her biography 'Jane Austen: behind closed doors'. Another excellent recent biography is 'The real Jane Austen: a life in small things' written by Paula Byrne. Here the author reveals how some key objects provide insights into Jane Austen’s life. 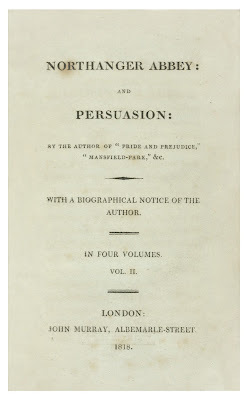 To see the original first edition of Northanger Abbey and Persuasion please ask to view it in the Reading Room of Sir George Grey Special Collections at the Central Library. To borrow Jane Austen’s novels, the recent biographies or TV adaptations request copies through our catalogue or go to your local library.